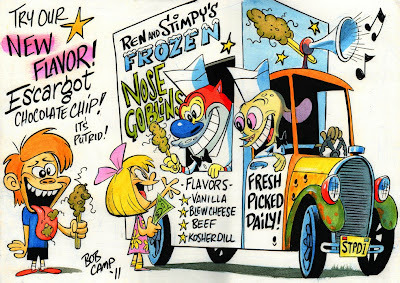 Bob Camp Cartoonist: New Flavor! I'll have one! I hope you don't mind if I just barf it back up, do you? Anyway, it's good to see you back on here Bob. I just love your artwork and cartoons. 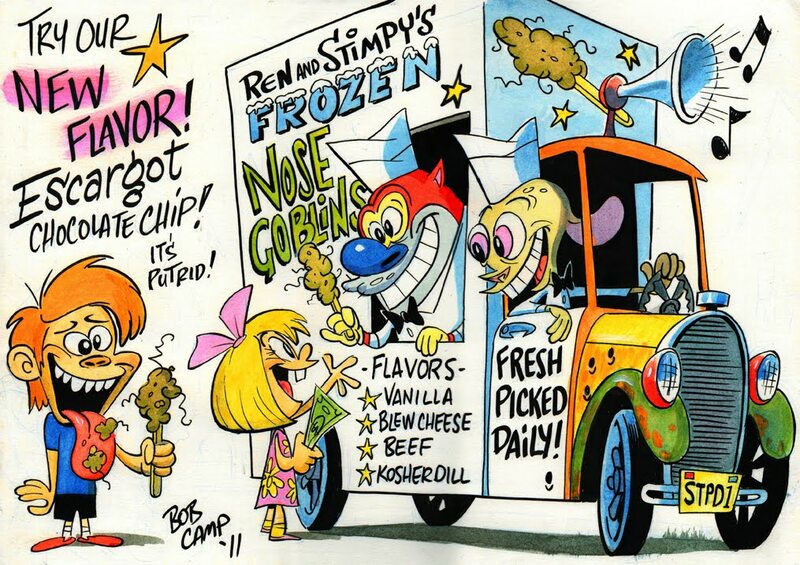 The Frozen Nose Goblin, as approved by Ren & Stimpy. Love the color work in this, did you do that, or just the pencils? Awesome! Great to see you post again. Now I have something cool to look forward to coming home every day since it's my last year of high school. It's been incredibly hard to stay positive, because there's so much homework and tests to keep up with, but this blog gives me hope. Do you have any thoughts or advice on art college and whether I could actually gain anything substantial drawing wise and networking wise or if its even necessary to go to college to learn more about good cartooning? I've asked this question to a couple of other great professionals, but I just want to be well-informed and have a clear understanding of what I might get into.